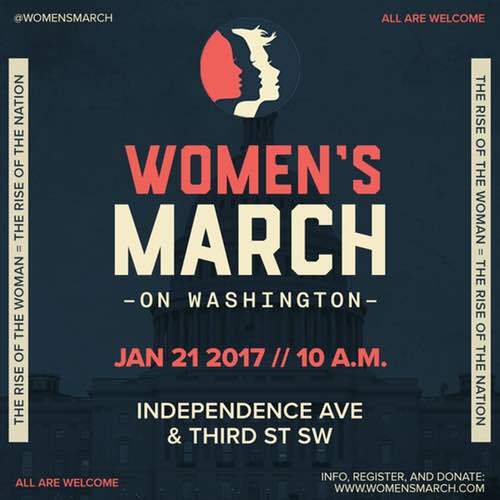 I suspect you have already heard about the Women's March on Washington taking place tomorrow (January 21, 2017) in Washington D.C. If you are not familiar with it, the basic idea appears to be both an expression of dissatisfaction with the election of Donald Trump and a show of support for women's rights as human rights. Most of the national atheist and secular organizations have announced their support for the march. Of course, it is not feasible for most of us to travel to D.C. for this sort of thing even if we really wanted to. The good news is that there a number of sister marches taking place in many states and even in several countries outside the U.S. You might be surprised to discover that there is one near you. 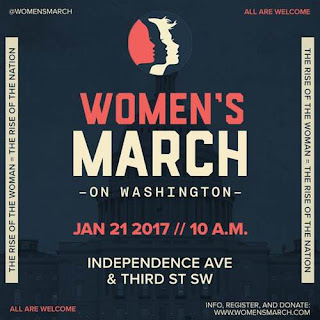 So if you are looking for something to do tomorrow and you support the mission and principles of the march, you can see where the closest sister march is here. Yes, the Women’s March on Washington (WMW) is for any person, regardless of gender or gender identity, who believes women’s rights are human rights. I think that seems inclusive, despite the name. I certainly believe that women's rights are human rights.